Anil Kapoor having given so many hit films to Flm industry like Ram Lakhan, Mr India, Tezzab, Welcome etc. is coming back to television with TV series 24 season 2 with same power, vigor, zeal that has been consistent through the years. TV series 24 season 2 starts three years from the point of time season one ended, where we left Anil Kapoor(Jai Singh Rathore’s) wife in a coma. She dies at the start of this season and Jai lands in rehab, having hit the bottle. The nation’s most-wanted terrorist is in jail but Jai needs to have him freed. Why does he want him freed? That is what forms the peg of this season’s story. Sikander Kher is playing as the new baddie while Ashish Vidhyarthi is great as well. Sakshi Tanwar is playing as ATU head where she has performed brilliantly. We wish that this season of 24 will be as hit among the viewers as the last one. 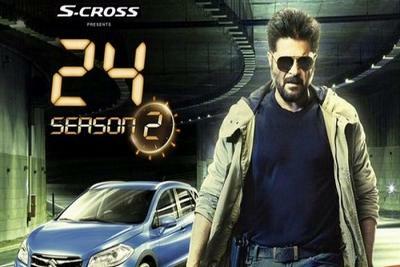 Be the first to comment on "Anil Kapoor’s 24 season 2 TV series aired with solid start"